Still working on that Summer drawer, and almost ready to skip on to the Autumn drawer, I found this beauty in the back of the drawer. I forgot I had it lol! 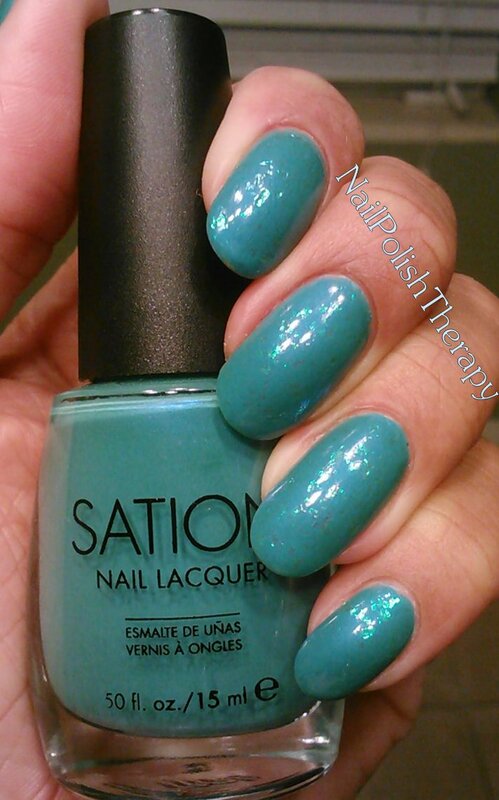 It's Sation Oh My Oceania and its a lighter version of Sation Miss McTeal. Oh My Oceania is much more creamy in consistency. It was easily 1 coater, but I was enjoying it so much I decided to do 2 coats. Then I added Zoya Maisie on top. 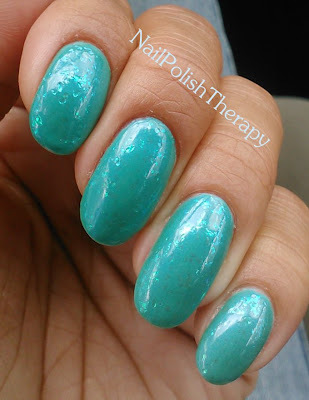 I loved this blue-green, glassy flecks looking glitter. The glitter lays flat and looks like it's in shreds, but adds just slight bit of dimension to an otherwise flat creme. 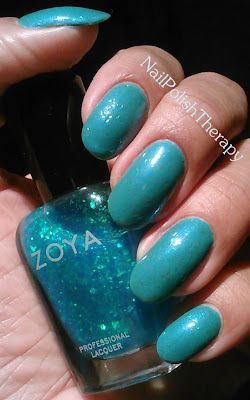 I like how subtle Zoya Maisie was because I didn't want it to compete with Sation Oh My Oceania. Thoughts? Feelings? Concerns?